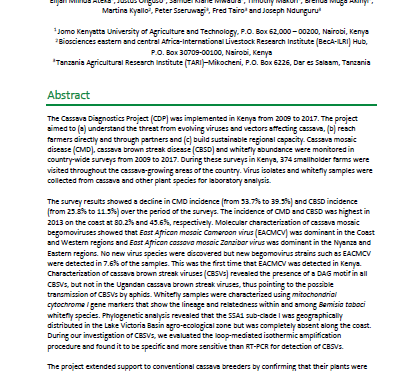 The Cassava Diagnostics Project (CDP) worked with institutes in seven African countries from 2008 to 2018 to enhance the diagnostic capacity and management of cassava virus diseases: cassava mosaic disease and cassava brown streak disease. 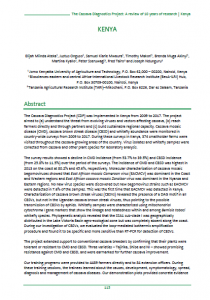 This monograph brings together those 10 years of research into cassava production and key viruses that affect it. This chapter focuses on the research carried out in Kenya. The other country chapters are also available in the Resource Centre but are uploaded as separate files for ease of download.